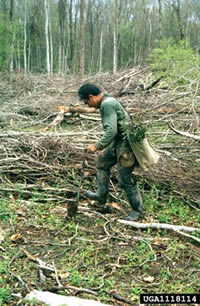 The North Carolina Forest Service (NCFS) maintains lists of service providers that can help landowners. 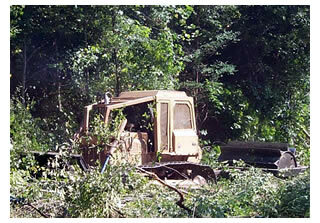 These include tree planters, prescribed burners, site preparation contractors, thinning contractors and more. Most lists are maintained at NCFS district offices, which cover between 4 – 10 counties. The presence of an individual or firm on these lists does not constitute an endorsement by the NCFS. They also may not list all the service providers in an area. But they can be helpful when deciding who could help you accomplish the work needed to keep your forest productive and healthy. We encourage landowners to work with natural resource professionals, such as NCFS rangers and foresters, consulting foresters, and extension specialists prior to making any decisions about their property. Landowners should contact at least 3 contractors prior to choosing one in order to compare services, recommendations, pricing, personalities, and other aspects that can influence the outcome of a job. In order to find the appropriate lists, you should identify which NCFS district office oversees the county where your property is located. The lists for that district are posted under that district's name. If you have questions about a specific list, contact that NCFS district office for assistance. District office phone numbers are provided on each list, as well as our agency contacts page.